Tessa is having a hard time adjusting to raising Haley since her brother, Cade, moved away. She often thinks about how much easier things would be if she had someone to help out, but Tess refuses to fall for a bad boy again. Nope, she’s been there done that! She wants someone stable that is ready for a built in family. Jason has a reputation with the ladies. He’s in and out. After Cade moved away Jason has started checking in on Tessa & Haley. During this time his feelings have grown for Tess. He feels guilty about his feelings because he knows he shouldn’t have them for his best friends little sister. Jason has tried to “distract” himself from thinking about Tessa with other women but none of them measure up. But what happens when Jason see’s Tessa on a date? 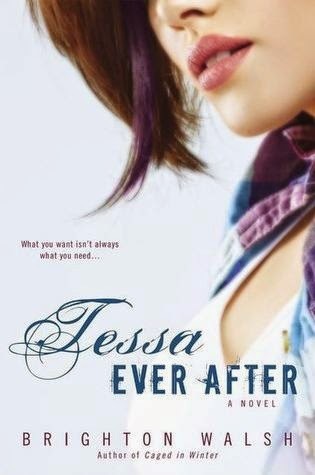 How does Tessa feel when she sees a girl flirting with Jason while she is on her date? Do they decide to just have a little fun or do they both let their walls down and go for it? Does he let his parent’s ultimatum break what they have? Well you are just going to have to read it for yourself because the chemistry between them is off the charts! Jason also gets very attached to Haley! It is so cute when he reads & plays dress up with her! All dads should be like that with their daughters. And the pink post it notes.. they will have you swooning! Overall this was a great book/series! You get to hear from Cade, Winter, & Adam in this book as well.